i came across these while browsing babies r us, which i try to do a couple times a month just to see what inexpensive options are out there... you never know what you'll find! 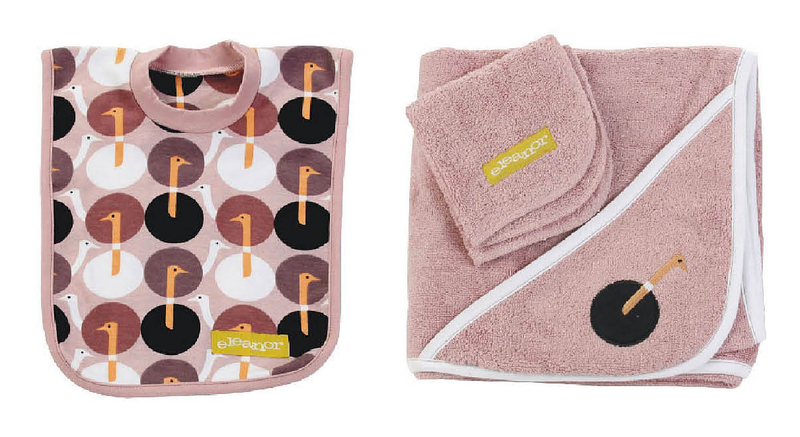 i think this ostrich print is simply adorable from kalencom. i always like baby things with the b listers of the animal kingdom: ostrich, hammerhead shark, snail, raccoon, etc. oooh. . .good find. i think i'll go add those to my registry right now! Hi, I work with Kalencom and I just want to thank you for posting our fun ostrich print. I definitely agree that the "B" list of animals need to get more attention. I still think a wombat pattern or maybe squirrel theme would be cool. Thanks Anonymous Kalencom reader! I love that these are organic cotton!! !